Mine is definitely flip-flops, in my opinion, this is the best footwear ever invented. I don't really care how people thinks it's sloppy or unsightly. It's so comfy~ I could go anywhere with it, i don't have to worry about blisters, smelly socks, aching heels etc. This post will be my last Advertorial for the year 2014 and with this as closure, I'm glad it is something for a cause. With every purchase on SOÜLE, portion of the sales generated goes out to Children living in poverty and also survivors of natural disasters. SOÜLE's aim is to provide a sole for every soul. Their Flip flops comes in male and female cutting, I opted for the black female cut. SOÜLE is having a special gift set for Christmas that consist of a pair of sunglass and a pair of flip-flops at only $25!!! And they also provide greeting card+message of choice in this package. Since, they offer male and female cut, you can also get them as couple wear. Gifts does not neccessarily have to be something expensive or luxurious. I feel gifts that you put thoughts into is far more precious. I remember someone once bought me a set of travel containers, and someone else commented that it was way too cheap to be a gift. But to me, i understood why that person bought it. I travel very often with my bag pack and I really need to pack light else I'll just die of shoulder dislocation. Now you see it wasn't out of convenience nor because it's something very affordable. It is the thought that counts (cliche but it works)! So for this Christmas, put a thought in your gift. 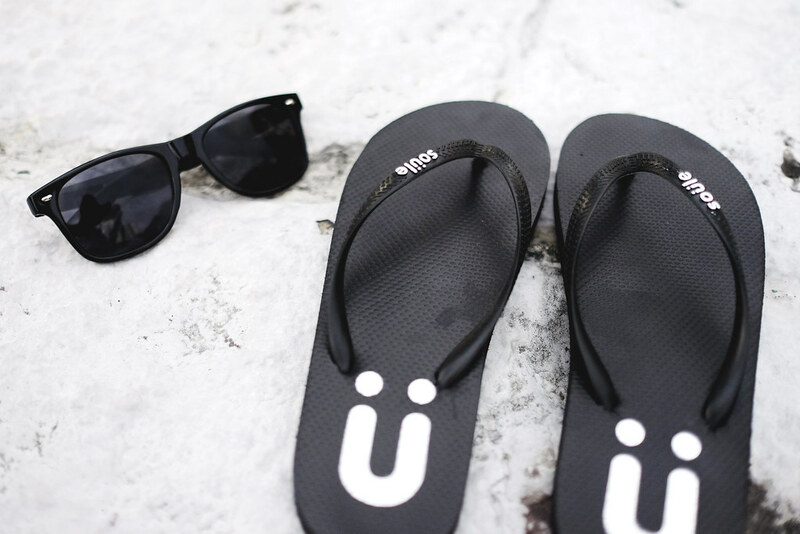 Thank you SOÜLE for the sunglass and flip-flops, I'm all ready for my Phuket Beach Vacation! Blessed Christmas to all my fellow readers. * enter "Valsoulehappy" for 10% off purchase!